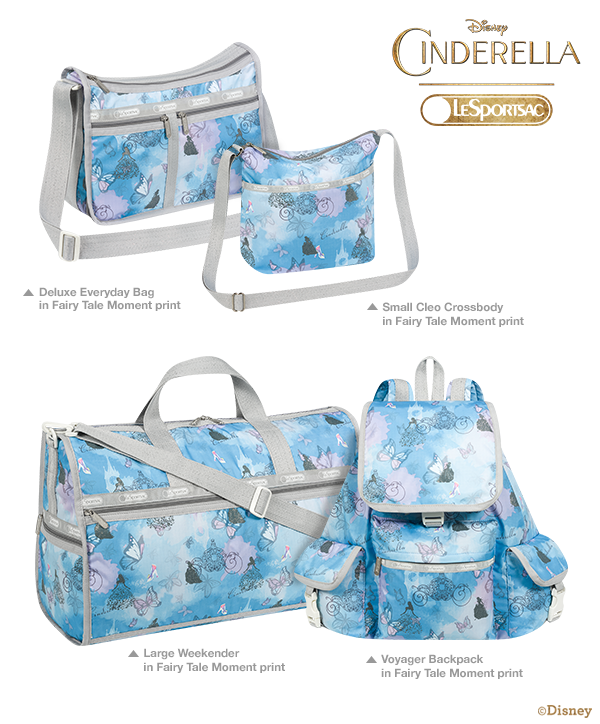 In celebration of the March 13th release of Disney's latest live action film, Cinderella, LeSportsac has come out with a gorgeous new collection. LeSportsac set social media on fire last month when they posted their gorgeous watercolor teaser! The wait is over. We have a preview of the collection and it is the right fit for every Princess. The first piece from the collection is the Hailey Tote in A Moment of Magic . 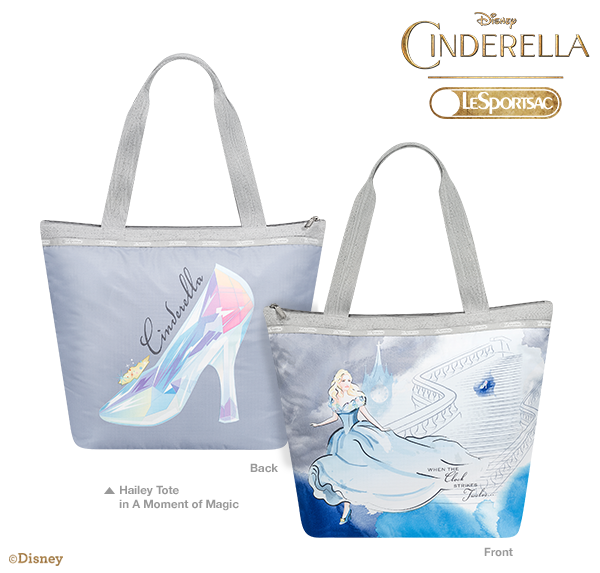 The tote showcases the teased artwork on the front and the iconic glass slipper on the back. Who doesn't love a gorgeously design makeup bag?! It can also be used for hygiene products as well. 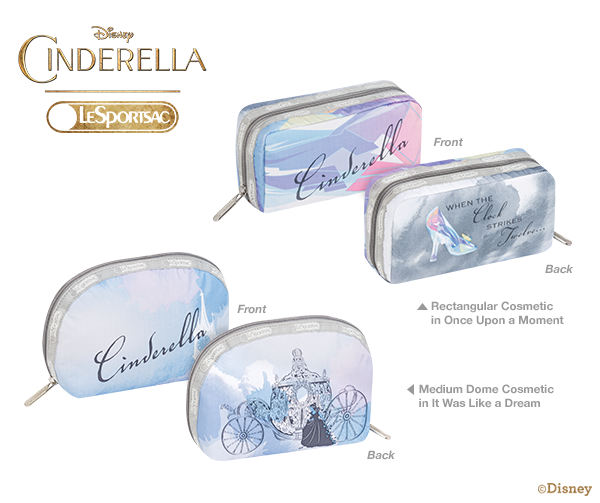 I especially love the font of the Once Upon a Moment Rectangular Cosmetic bag. 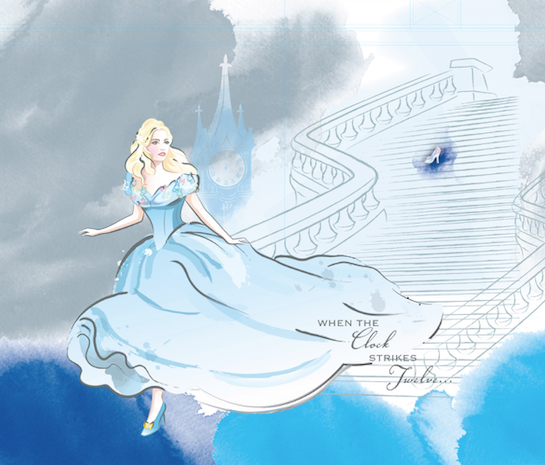 It is the perfect abstract design to represent Cinderella's iconic footwear. My favorite print from the collection is called Fairy Tale Moment. It highlights the romantic, iconic moments of the film. 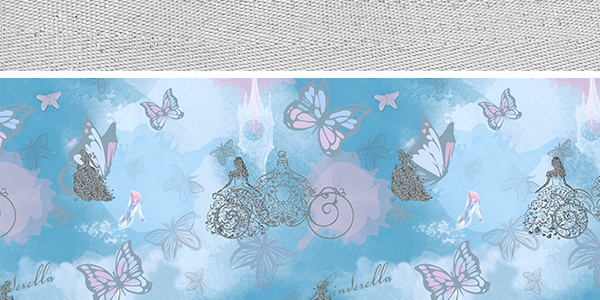 The design is inspired by Cinderella's magical ball gown and features silver glitter accents and trim woven with silver Lurex. The design will be available in thirteen of LeSportsac's classic bag designs. This dazzling collection will be available at LeSportsac.com and LeSportsac Boutiques beginning in late March. What is your favorite design from the collection? Will you be taking one of these lovely bags to the ball (or maybe the Disney Parks)?